Facebook Launches Facebook Moments in Europe and Canada: “Facebook Moments is now available in all countries worldwide, thanks [to] the launch of a new, modified version in the EU and Canada.” TechCrunch notes that the modified version of the Facebook Moments app lacks facial recognition technology due to privacy laws and regulations in the EU and Canada. The new, modified app also features a different user interface than earlier versions. The modified Facebook Moments app is available now on both iOS and Android in the EU and Canada. 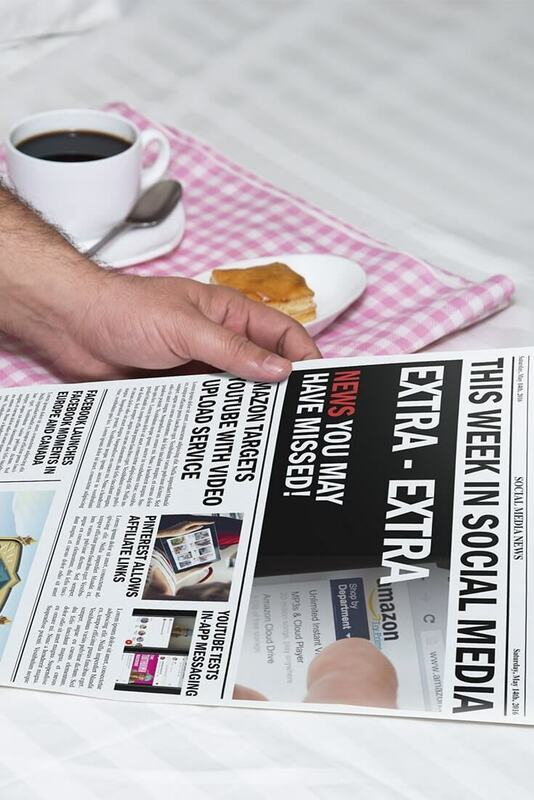 In this blab from Friday, May 13, 2016, Michael Stelzner and guests discuss the top news in social media. Topics include LinkedIn’s own version of Instant Articles (2:26), the new Amazon Video Direct service (15:00), the upcoming YouTube in-app messaging feature (23:40), and Facebook’s new Rise and Shine morning show (30:10). Subscribe to future shows here. Facebook Partners With DigitasLBi on Live Daily Morning Show: Facebook and DigitasLBi, a global marketing and technology agency, “unveiled a program called Rise and Shine, a live-streamed morning ‘feed show’ on Facebook that will include local weather, exercise workouts, recipes and more.” AdWeek reports that these short, sponsored shows will air three to five times a week in subscribers’ news feeds, on the Facebook pages of sponsoring brands and in Facebook Messenger. Facebook users can subscribe to a Rise and Shine messaging bot that will send an alert when new content is available to stream. Tumblr Rolls Out Tumblr Labs: The new Tumblr Labs initiative allows users to test “experimental features” before they’re made widely available. This opportunity is available to any current user who opts in through their settings in the web dashboard. The current experiments include themed posts, reblog graphs, fine-grained scheduling options, and private posts for group blogs. 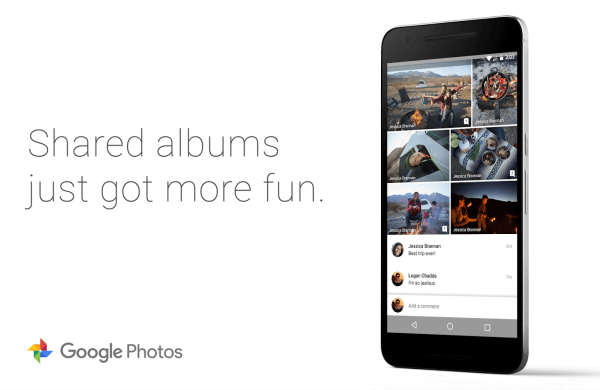 Google Improves Shared Albums in Google Photos: On a Google+ post, Google Photos announced that “shared albums are getting smarter and more social.” Google Photos users who join a shared album can now “add comments to photos and the album itself” and see “smart suggestions for the right photos to add.” These features are available on Android, iOS, and the web. 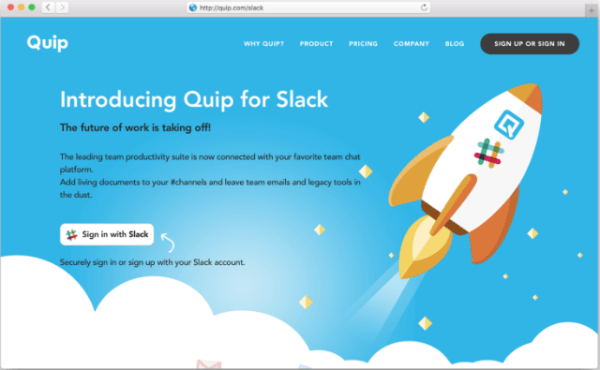 An example of Sign in with Slack, as seen within new a Slack app, Quip. 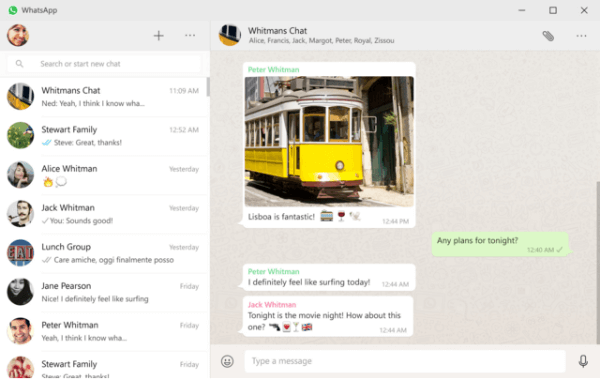 WhatsApp Releases an Official Desktop App: WhatsApp is “introducing a desktop app so you have a new way to stay in touch anytime and anywhere – whether on your phone or computer at home or work.” The new desktop app is available for Windows 8+ and Mac OS 10.9+ and is synced with WhatsApp on your mobile device. Facebook Tests Group Discover Tool: Facebook “has begun piloting a new Groups Discover tool, which makes it easier for users to find new Groups to join, based on their interests.” This feature is rolling out on iOS and Android in the U.S.
10 Tips for Adding Video to Your Digital Marketing Mix: Video consumption is on the rise, but many marketers are uncertain how to best produce video content and integrate it into their digital marketing efforts. 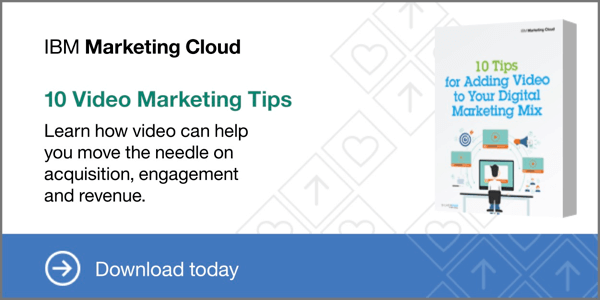 Learn how you can add video to your marketing mix and move the needle on acquisition, engagement, and revenue. Get your copy today! How to Make Your Direct-Response Tweet Copy More Effective: Twitter and Adaptly studied 9,000 direct-response campaigns in the U.S. and identified nine key insights on how marketers can adjust their tweet copy to improve campaign performance and ROI. Gartner 2015-16 CMO Spend Survey: Digital Marketing Comes of Age: A new survey from Gartner examined how over 300 top marketing organizations are planning their digital spend. The report focuses on the increased spending on digital commerce, social media, analytics, and multi-channel marketing efforts and how marketers are taking more responsibility for digital success. Facebook Is the Preferred Network for Video Sharing: According to a new survey from Philo Media, Facebook is the preferred platform for video sharing by 63.5% of the respondents. Nearly 38% of respondents across all demographics cited Facebook as their preferred source for video as well. 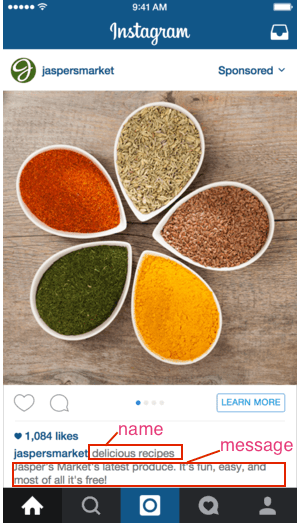 Instagram Marketing: Does Influencer Size Matter? 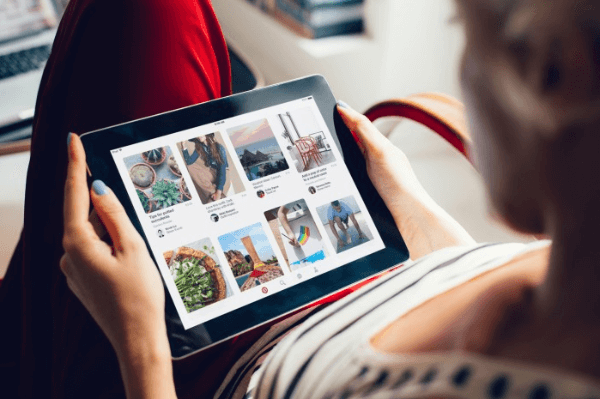 : Markerly analyzed more than 800,000 Instagram accounts and discovered that users with fewer than 1,000 followers get far more likes and comments on average than those with more than 10 million followers. In fact, the report shows a clear downward correlation between follower sizes and post engagement and suggests that brands ought to seek the help of “micro-influencers” rather than “mega-celebrities” to promote their products on Instagram. Got a social media challenge you just can’t figure out? Get answers in the Social Media Marketing Society, the exclusive membership community from Social Media Examiner, designed to keep marketers on the leading edge of social media. The Society will help you discover new ideas, avoid trial and error, implement the newest social tactics, and find what works best with social media marketing. With three live, expert-led training sessions each month, we’ll show you step-by-step how to implement the latest in social media marketing using Facebook, Twitter, LinkedIn, and beyond. Plus you’ll be able to connect with other marketers in our online forums and live Society Hangouts. There’s always someone there to help you through the challenges you’re facing and to celebrate your successes. 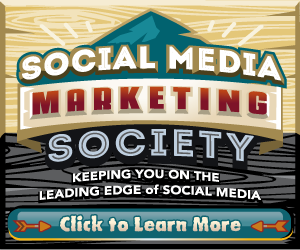 This week only: save $200 on your annual membership in the Social Media Marketing Society. That’s a 30% savings! Join now before the price goes up on Friday, May 20. Will you try Amazon Video Direct? What do you think of affiliate links being allowed on Pinterest? Please share your comments below. Amazon Launches YouTube-Like Service and other social media news for May 14, 2016.